We are a Social poker league with over 3,000 players across the U.S. and more registering every day. We hold tournaments nightly at some of the greatest bars, restaurants, and taverns in your area. We host multiple games several nights of the week. 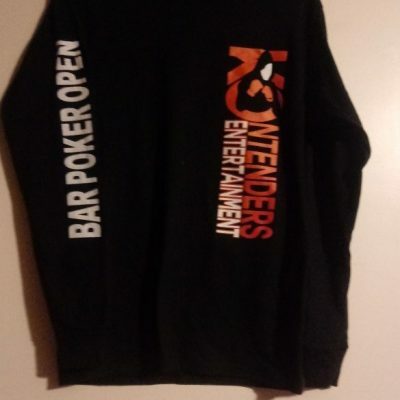 We are also part of Bar Poker Open, to bring you more major events to compete in all over the United States. Have fun, play poker and win big! 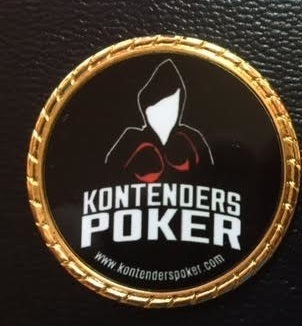 KOntenders Poker is the flagship product of KOntender Entertainment, a veteran-owned company. 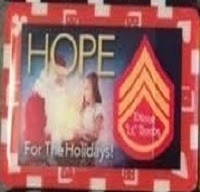 Come and join us for a charity poker event at The Water Tank on Saturday, March 16 at noon! The next BPO High Roller Challenge is coming on March 23, 2019. Our tournaments are always free to play! Depending on the venue, win cash, gift certificates, and BPO tokens! Play to win $100,000 in Atlantic City in October, and $200,000 in Las Vegas every June! Play the great game of Texas Holdem, close to home, for free! 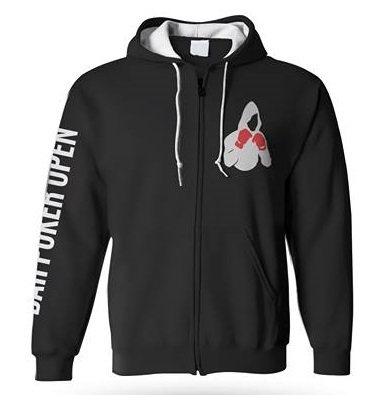 The Open is exactly what the bar poker community has been waiting for–an enormous community of bar poker players, a series of affordable buys-in events with great guarantees, fun parties, and a National Championship Invitational. All events include Final Tables played on the same final table set of the WPT(c) including a Live-Streamed National Championship Final Table. All players from any league are more than welcome to join us in the open events. The National Championship Invitational, however, is open only to affiliate poker leagues and eligible players. Our top players are invited to play twice a year against top players in the other Bar Poker Open Affiliate leagues, in the National Championships with minimum prize pools totaling $300,000! Play in a sanctioned bar and place in the top three. Your TD will then get your name and email address so you can receive an invite to play on line (tournaments are scheduled every weekend.) Top six, or more, from the online event will win a seat to the Bar Poker Open Main Event. In addition to the seat, the first place online player every weekend is awarded a travel and hotel package worth $700. Seriously! In the 3 months Kontenders has been here in Austin I have earned 4 tokens, played in 3 of the Sunday weekly qualifier tournaments and got “into the money” in 2 of them. I turned one of those into an entry into the $200,000 tournament in Las Vegas and now I’m going to use my second one for another one next year. There is tremendous value in this league. I’m not even the best player in the league and I’ve managed to do this. Also, a huge bonus is that the $200,000 Bar Poker Open tournament occurs right as the WSOP is going on so you get to experience that as well. This league has already done more for my poker game than 3 years has in other leagues. Just sayin’! I have to give a shout out to this Poker League and Tom for putting it all together, keeping it all together and doing a ton of work behind the scenes that none of us will ever know. To have the opportunity to play poker whenever I want with an absolutely wonderful group of men and women, is a true blessing. I appreciate the way all of you play against me with kindness an respect and to you I give that respect back to you. … I love this league so much. I do enjoy playing in the league! I enjoy seeing the people in the league, yeah, some can be “quirky” at times but I’m sure they feel the same towards me, overall good people from all walks of life who have a common interest in playing cards. It doesn’t hurt to win some cash and/or gift certificates along the way, I believe I’ve won well over $500 playing in the bars this past season and we’re not done yet. This league is truly the best around! They care about their players, & do so much for so many different charities. I consider all of you my second family! Thanks again & we love you all!